BANGOR, Maine — Maine political and business leaders reacted with sadness Wednesday to news of the death of Joseph Sewall, a former Republican president of the Maine Senate and prominent Old Town businessman and civic leader. Sewall passed away late Wednesday morning at Eastern Maine Medical Center in Bangor. He was 89. Born and raised in an Old Town home built by his great-grandfather George Sewall, speaker of the Maine House of Representatives in 1851, Joseph Sewall attended local schools and graduated from Bowdoin College before serving in the Navy as an aviation navigator during World War II. After Joseph’s father, James, died in 1946, Joseph took over Old Town-based James W. Sewall Co., a forestry and surveying business his grandfather, also named James, started in 1880. As president and CEO of the company, Sewall took his grandfather’s company to the sky, purchasing an airplane and camera so the business could survey and create maps from a vantage point few other surveyors used at the time. Sewall served on the Old Town City Council for nine years before he was elected to the Maine Senate in 1967. As a freshman senator, he earned a spot on the Legislature’s Appropriations Committee. A four-term Senate president from 1975 to 1982, Sewall is tied with Charles Pray, D-Millinocket, for the longest Maine Senate presidency to date. His colleagues in business and politics remembered him Wednesday as a great leader who was humorous and generous. Raye said he was starstruck as a young man working for Sewall. Raye invited Sewall to his swearing-in as Senate president in 2010. Although Sewall wasn’t able to attend, “he was so excited and so happy that Republicans were in control again,” Raye said. In 1980, Raye was on a small plane traveling from Old Town to the University of Maine at Machias for a Republican candidates night. Sewall, then-U.S. Sen. William S. Cohen and a pilot were also on board. It was a turbulent flight, and when the plane reached the airport, the lights on the runway wouldn’t switch on, forcing the pilot to circle the landing strip as the rough, choppy flight continued. Raye said he couldn’t help but think about a hypothetical next-day headline if the plane went down. “‘Sewall, Cohen, two others killed in plane crash,’ I really didn’t want to be known as one of the ‘two others,’” Raye said. Eventually, the runway lights switched on and the plane landed safely. Rep. John Martin, D-Eagle Lake, noted Wednesday afternoon that he became House speaker in 1975, the same year Sewall was chosen as Senate president. Sewall lost his Senate seat in 1982 to Democrat Michael Pearson of Enfield in an upset after successfully defending his spot twice before against Pearson’s candidacy. The two were known for having highly charged races. Sewall could be “a bit gruff” at times, Page said, but he always put Maine’s best interests before his company’s or his own. Sewall, an avid outdoorsman, made frequent appearances in former Bangor Daily News Sports Editor Bud Leavitt’s columns even during his time as Senate president. Fish tales abound in Leavitt’s columns about Sewall’s angling. That tale became known as the Sewall Salmon Story. His golf game, apparently, wasn’t quite as impressive. “Sewall’s game, I should add, will hardly earn him a qualifying start in the American Association of Retired Persons Shootout,” Leavitt wrote in a 1993 column. 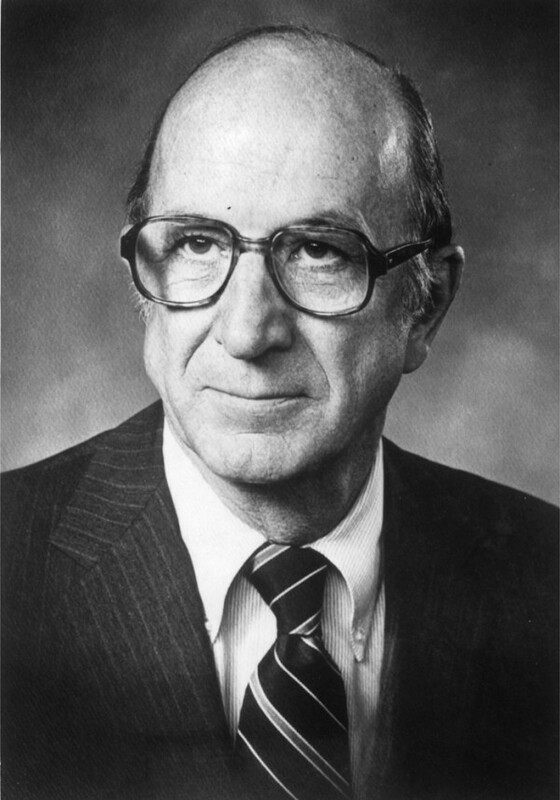 After his political career ended, Sewall joined the Maine Maritime Academy board of trustees in 1984. In 2003, the academy honored Sewall for 20 years of service as a trustee by giving him a captain’s chair.